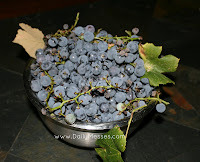 About five years ago, I planted Concord grapes. My husband and I had bought them for an event we were putting on and I didn't want to just throw them out afterwards, so I planted them in our backyard. I didn't really expect them to grow, but they thrived. The first year, we didn't really get much out of them since they were still growing. Since then we've made juice and one year we made a ton of grape jelly. Last year, the plants were mad at me and didn't produce anything. (I had to rearrange some of the vines because the support system was failing.) 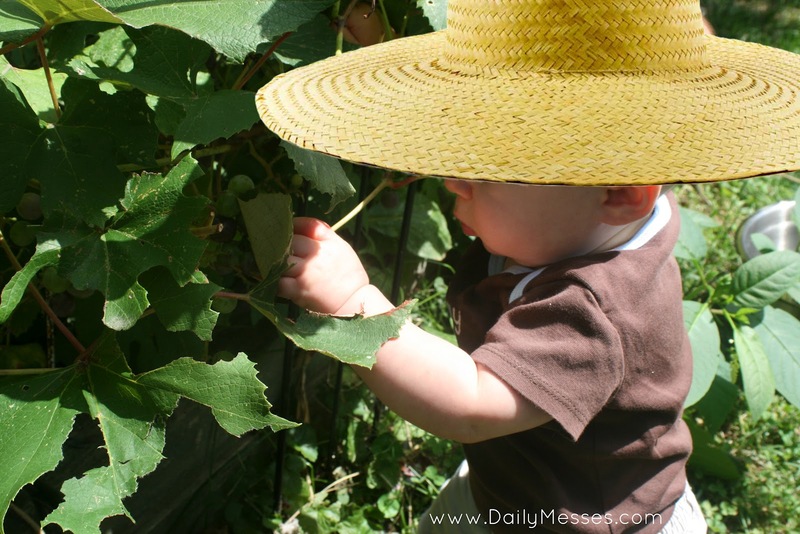 This year, they started producing again and the kids were super excited to be able to pick grapes again! 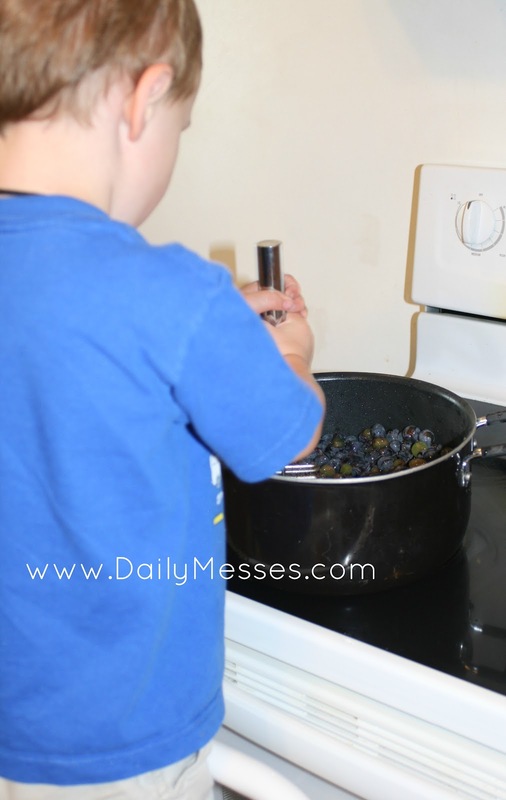 We got a large bowl worth, so we ate some and used the rest to make grape juice! 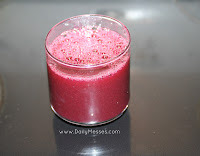 It's a little time consuming, but super easy to make your own juice. with cold water and let soak. Drain again. 2. 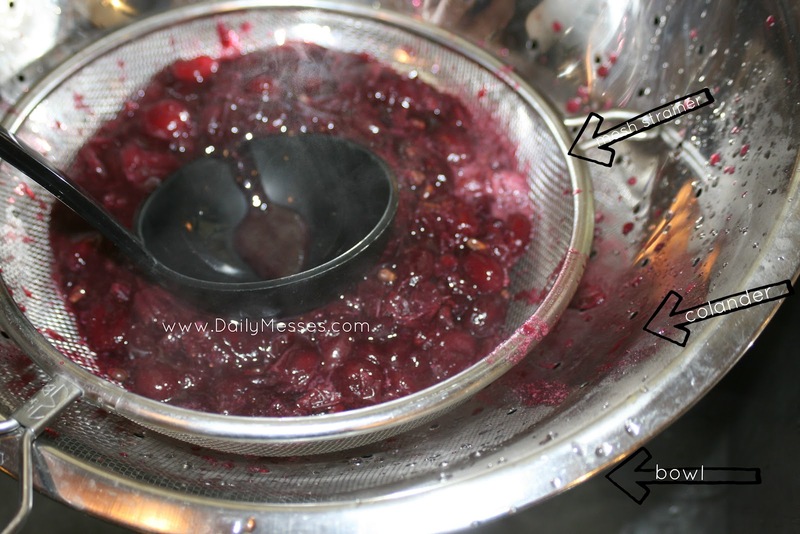 Place grapes in large pot and mash with the potato masher. 3. 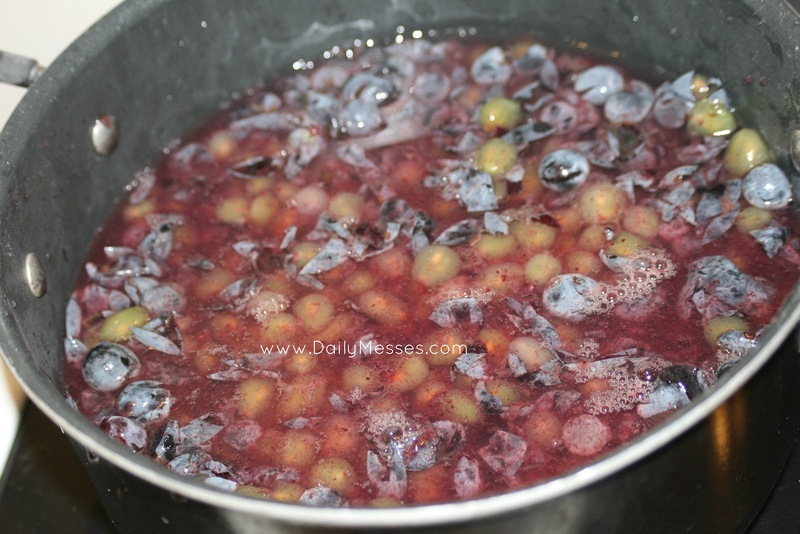 Cover grapes with water. You don't want a lot of water, just enough to cover them. to pour the grapes out a little at a time. another bowl. Keep working through your cooked grapes. and squish them again to try to get more juice out of them. rinse the strainer in between pours. in the grocery store, but it does darken in the next day or so. cut it with water before drinking. You could also use a cheesecloth instead of the fine mesh strainer during the final straining (step 7). 10 pounds of grapes usually make 1 gallon of juice. 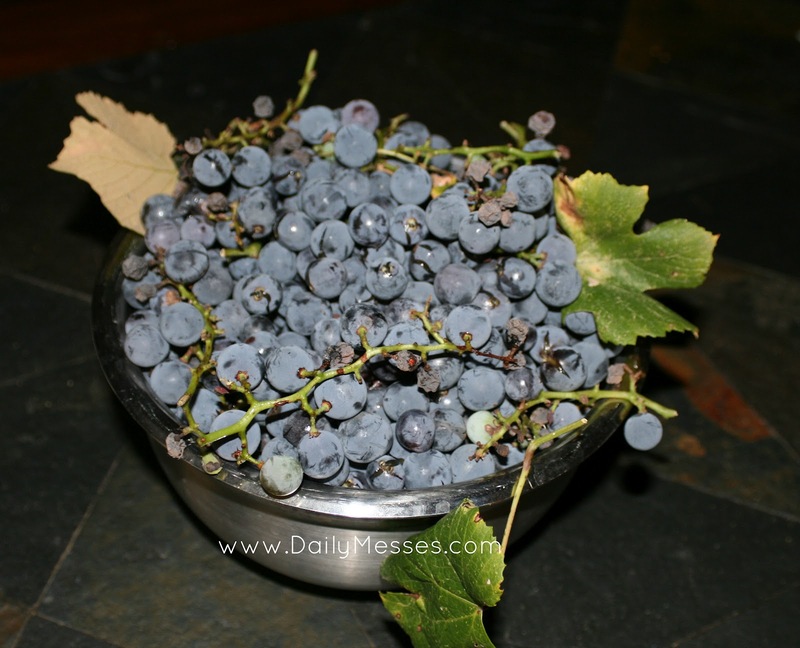 Add the cooked grape left overs to your compost pile!